Something I noticed from working in fashion for about 6 years is that trends are often recycled and just given new, fancy nicknames. Because of this, it's not impossible to find something current in an end of season sale especially when you're on the lookout for basic prints and block colors. Prints may be a bit trickier but also not impossible. Before you go and give your plastic a workout, here's what to look out for this year. 1. 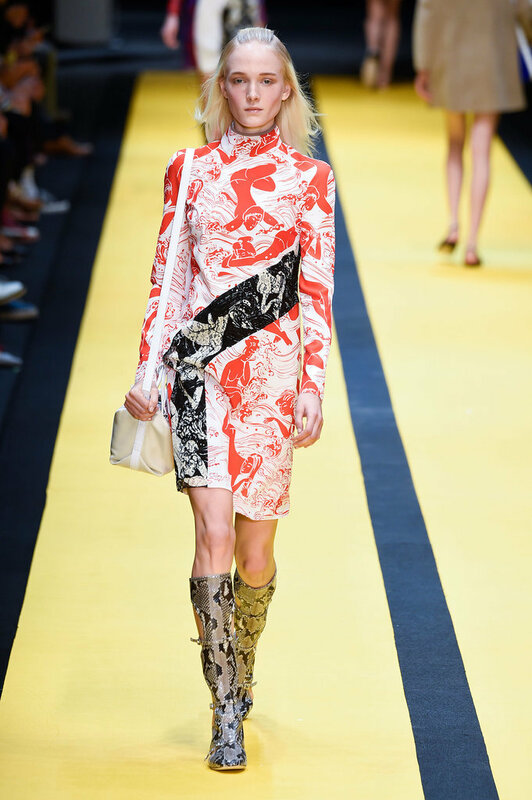 Shirtdresses - the classic look takes center stage this year. 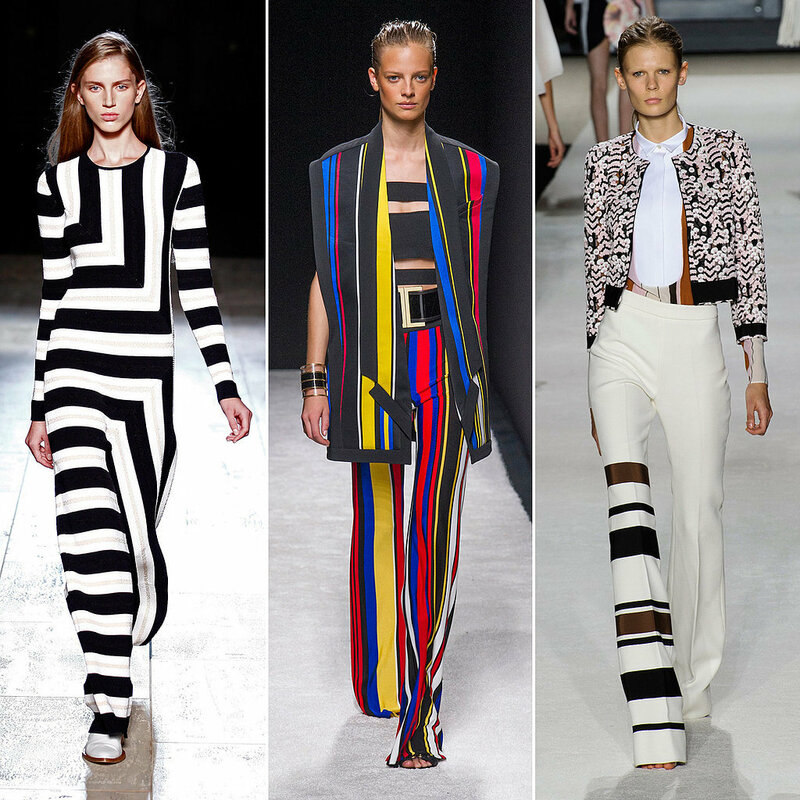 Wether you prefer a basic, oversized boyfriend look or slits that go on forever, anything goes. Expect to find them in different lengths, colors and silhouettes. 2. Yellow - Lucky us! Yellow is actually very flattering, you just need to find the right shade that flatters your skin tone. Forget drab marsala and invest in sunny pieces instead this summer. 3. Gingham - Something I'm not too keen on. Be very careful when shopping for gingham, it can look (A LOT) like a uniform. :P Instead of a full on head to toe look, opt for just a top or skirt. 3. Black and White - Yay, certainly never goes out of style. Hoard all you can and wear year after year. 4. Blue and White - If you don't like black or find it too harsh (why??? ), opt for blue and white instead. 6. Kimono Style Trenchcoats - The softer silhouette makes it flattering on any body type, it's a great way to elongate yourself, and camouflage thighs and hips for a slimming, svelte look. 7. White On White On White - Just like black and white, white on white is here to stay. Elegance is always in style. 8. 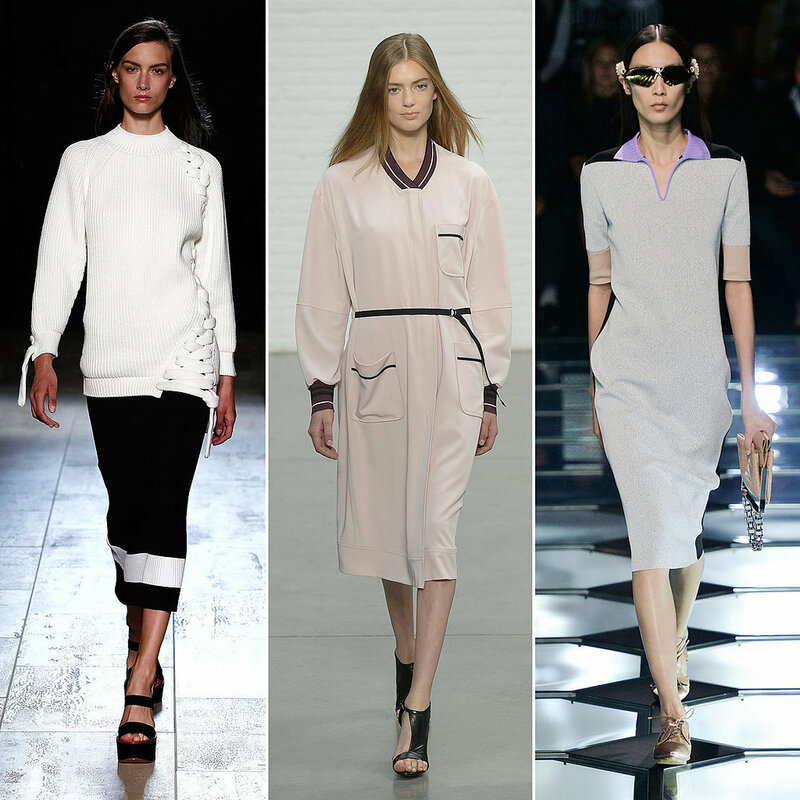 Flats, Slides, Sneakers - Do not throw out those mandals just yet. Lucky for us, comfortable shoes are still the choice du jour of the fashionable set this summer! 9. Roomy Denim - Still on a comfy note...roomy denim! The cuts shown below ONLY suit long and lean model-type bodies. 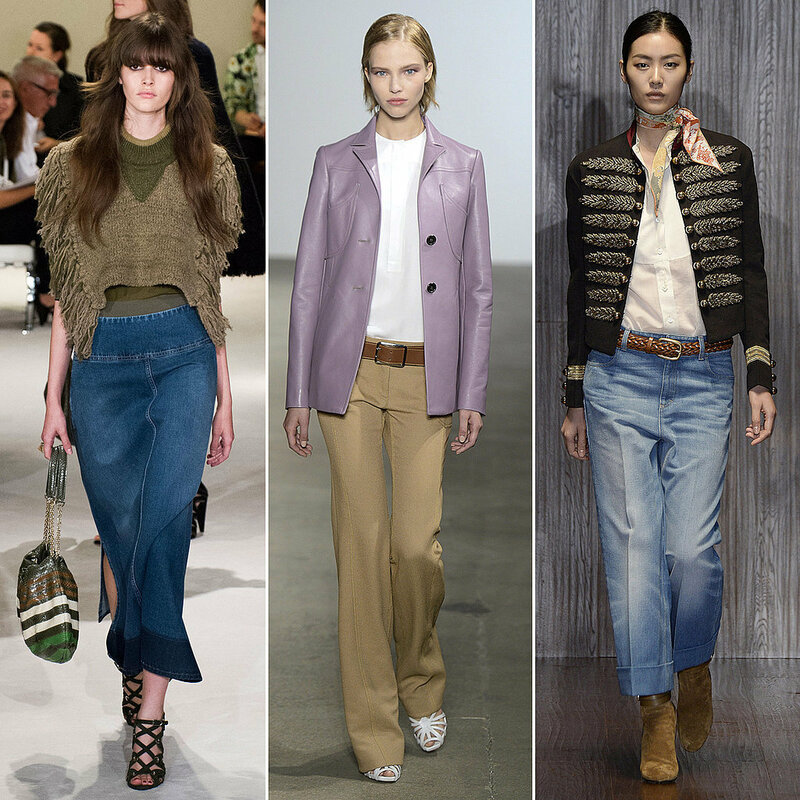 To make it more wearable, opt for flares, boyfriend or wide-legs. 10. Military Greens - another classic staple, just like black and white. Never throw out your military jacket or anything in drab olive. 11. Subtle 70's - Goodbye 90s, hello 70s. I guess it's time to dress up a bit more, less rocker, more boho. 12. Animal Prints of a Different Sort - were not talking your regular, run off the mill leopard print here. Think quirky: jellyfish, flamingoes, crabs: the weirder and more unusual, the better. 13. 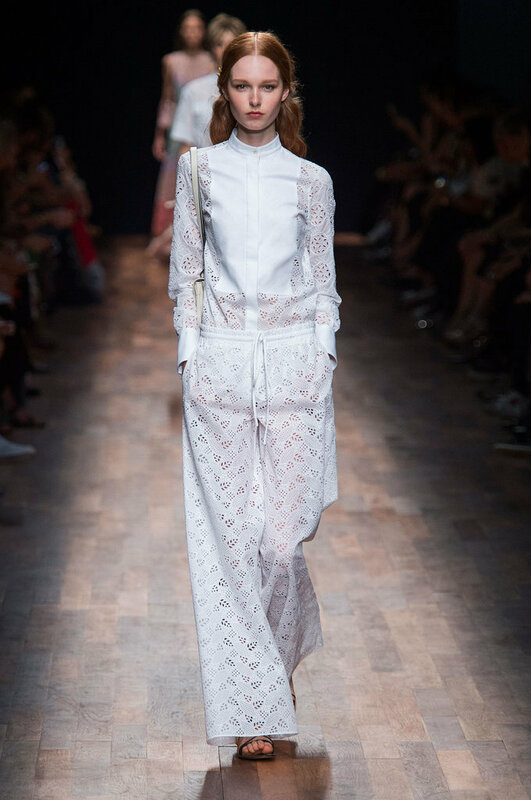 Sporty Minimalism - Another trend I'm real happy to see again this year. It kinda sums up my personal style in 2 words. Look for: knits, zips and other sporty tell-tale signs. ps. the sport shirt is also making a comeback. 14. 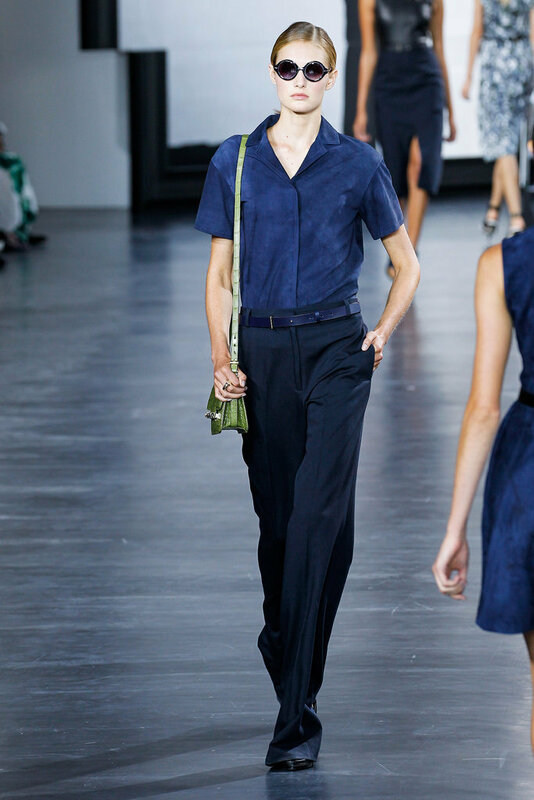 Emphasis on Shoulders - Shoulders are the new Cleaváge! 16. Modern Safari - another elegant, timeless look. 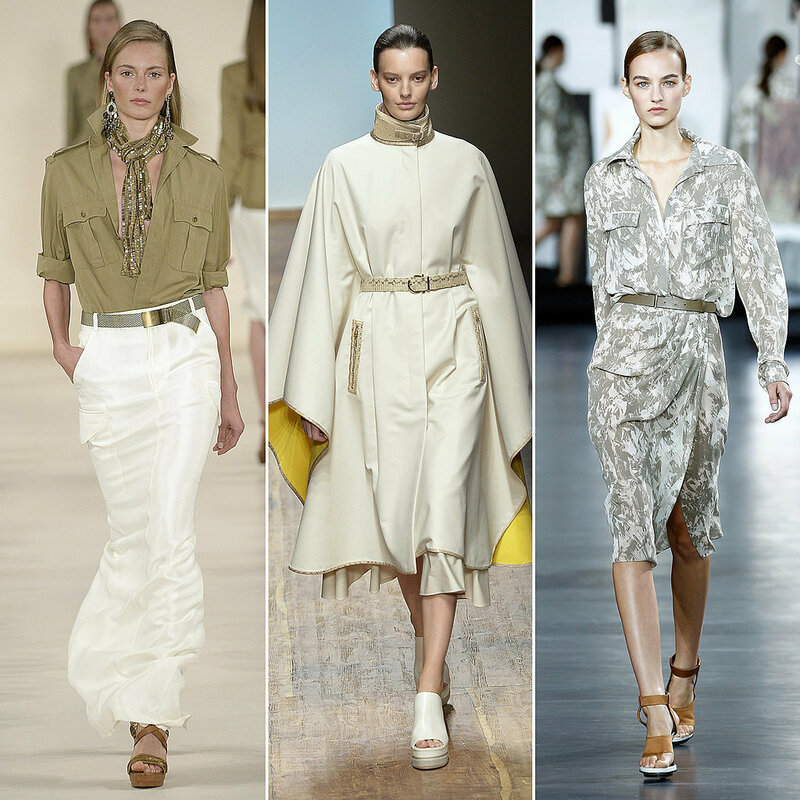 Pull off by matching tailored tops with feminine details in gorgeous earth tones. Finish with gold accessories. 17. High Neckline - another one I'm not too keen on just because it doesn't suit me. If you're a bit on the stocky side/top heavy, it's best to skip this one. 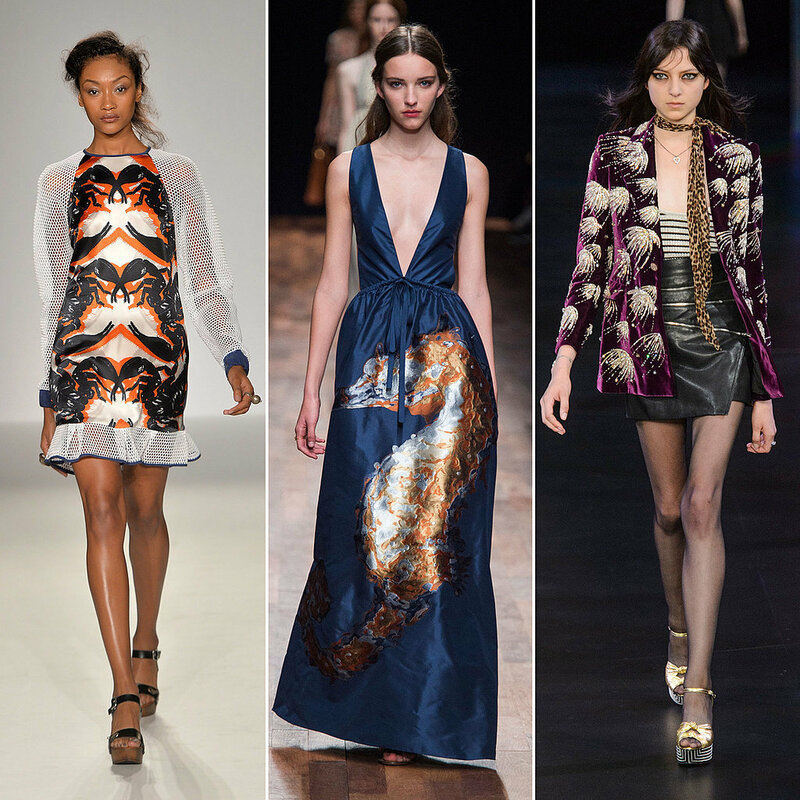 Next up, a list of Fashion Must-Haves this 2015 + Where to get them ON SALE!